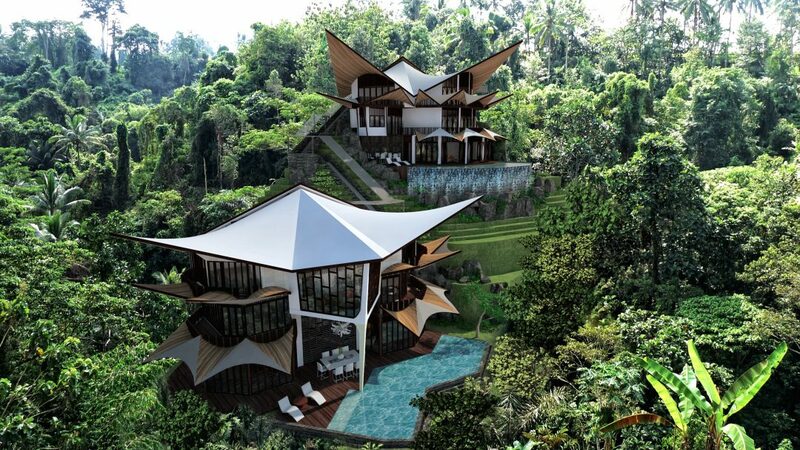 The Ramli villas area unique designs built on a challenging narrow and steep site, sitting aloft a hillside overlooking the jungle. The strategy was to maximize the land usage by carefully angling the front entrance on a higher level with the rest of the building set up on these levels and built into the hillside. 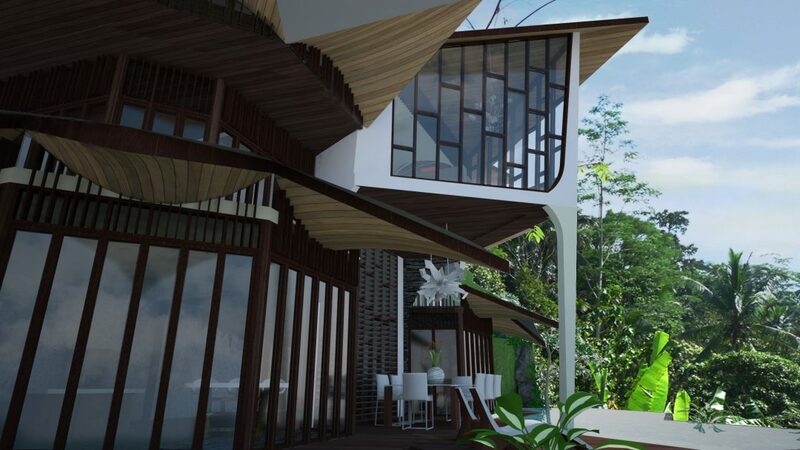 This allowed us to create a spectacular ground and poolside view towards the jungle clearing and distant valley. 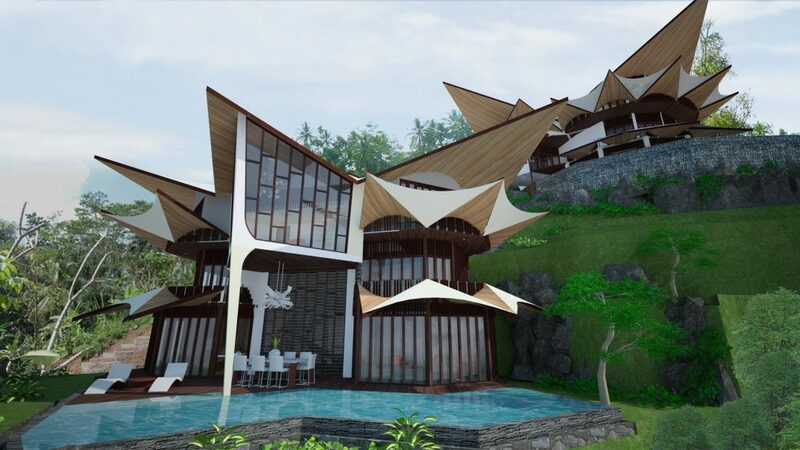 Emerging from the hillside, the building form has been broken down into segments to reflect the landscape and to not appear as a solid mass. This compliments the arrangement of bedrooms which allow complete privacy while still providing the essential views. Each room has floor to ceiling windows and large sliding glass doors to create optimum air circulation and daylight. The stairwell with its differentiated panel wall provides ventilation and light to less exposed areas of the house. The upper levels come with unique spaces with hyperbolic paranoid roof combinations. Although the house is designed in a modern context, organic forms and features have been inserted, with its use of quality locally sourced materials, stone crafting and timber and fabric overhangs.